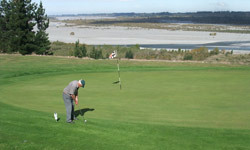 The Waimakariri Gorge Gold Club is country golf at it's best. Bordering Waimakariri Lodge and set at the foothills of the Southern Alps this 18 hole golf course offers something for every player. The manicured fairways and greens offered a great country golfing experience. The Waimakariri River offers excellent trout fishing year round and salmon fishing in the late summer and late autumn months. 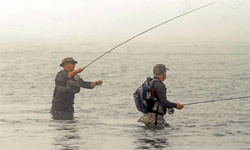 Best of all you can fish just 600m from the lodge! If you are into skiing or snowboarding then there are plenty of ski fields nearby for you to experience. 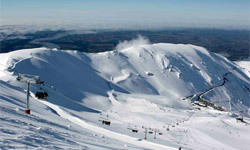 Try Mt Hutt with it's large groomed runs or try one of the many club fields. 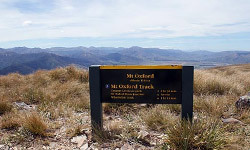 Mt Oxford offers bush walks and mountain biking on a 18km circuit climbing to an elevation of 1364m. The circuit provides great views from the top and a lot of diversity with dry beech forest, sub-alpine scrub and more.